Today will be the launch of WolframAlpha, the new knowledge engine everyone is waiting for. 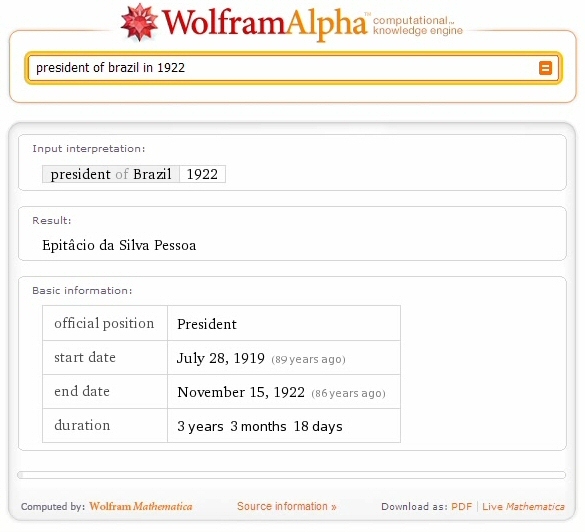 WolframAlpha will truly revolutionize information search in that the information returned will be computed for your particular purpose from a gargantuan knowledge base. It rightly shows the power of intelligent computing. Even though I’m a developer myself and regularly keep myself abreast in the software field, I couldn’t have imagined the amount of advances made in natural language processing, heuristics and knowledge representation. 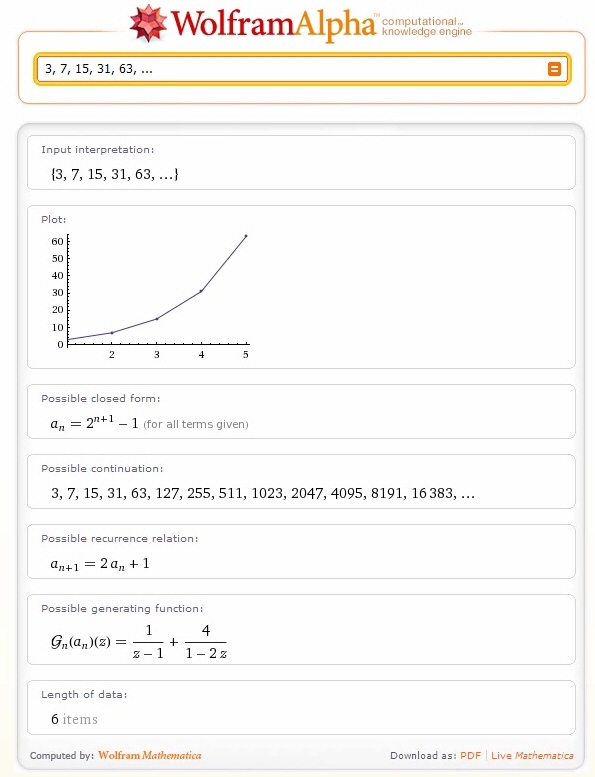 Wolfram|Alpha’s long-term goal is to make all systematic knowledge immediately computable and accessible to everyone. We aim to collect and curate all objective data; implement every known model, method, and algorithm; and make it possible to compute whatever can be computed about anything. Our goal is to build on the achievements of science and other systematization of knowledge to provide a single source that can be relied on by everyone for definitive answers to factual queries. Conceived by the brilliant Stephen Wolfram, its another feather in his cap after his magnificent Mathematica software. The other interesting feature of the software engine is that for many queries it computes the information from realtime data. For example if you were to search for ‘moon’ than wolframalpha would give all the details of the same and also such information as the present position in the sky, distance from the earth, etc. You can watch the detailed examples here. Imagine what this kind of information can do in the hands of researchers and scientists. An exponential increase in the present knowledge in all areas of science. The above example are just the tip of what the engine can do. Imagine a robot linked to the WolframAlpha engine and you can get the picture of where we are heading. We are on our way to building a true Encyclopedia Galactica. Knowledge search will never be the same again. Wish Asimov was here!